The advent of massive parallel DNA sequencing has revolutionized the biomedical research field ensuring rapid and affordable deciphering of the human genome sequence. This has led to a dramatic acceleration in the identification of genetic alterations responsible for several congenital and acquired diseases. In particular, taking advantage of next generation sequencing (NGS) technology, both national and international large-scale genome sequencing projects have made substantial progress in the reconstruction of the spectrum of recurrent genetic alterations present in sporadic and inherited forms of cancer. Stefano Casola is head of the Genome Diagnostic Program. He is also Principal Investigator of the Genetics of B Cells and Lymphomas program. Paolo Peterlongo is a member of the Genome Diagnostics Program and leads a research line, which focuses on the genetic predisposition to breast cancer. Paolo Peterlongo is a member of the Genome Diagnostics Program and leads a research line, which focuses on the genetic predisposition to breast cancer. Peterlongo graduated in Biological Sciences in 1994 studying the genetics of anthocyanin pathway in maize. He then worked in a company contributing to develop novel PCR-based diagnostic kits. Back to academia, he become passionate with Cancer Genetics studying somatic alterations in AML and graduated from the Medical Genetics Specialization School of Università degli Studi, Milan. He spent almost five years as a postoc at MSKCC in New York where, mentored by dr. Nathan Ellis, he leaded several projects in the field of genetic predisposition to CRC. He moved back to Italy in 2005 where he joined the group lead by dr. Paolo Radice and started his independent career in the field of genetic predisposition to breast cancer at IFOM. In the last years, Peterlongo become financially independent, was appointed to the Editorial Board of recognized journals, acted as grant-applications reviewer for foreign Foundations, and had academic and teaching responsibilities. Peterlongo, together with colleagues from INT, IEO and other national institutions, has long participated to activities of different international consortia, collaborated to seminal discoveries, and lead successfully several independent projects. 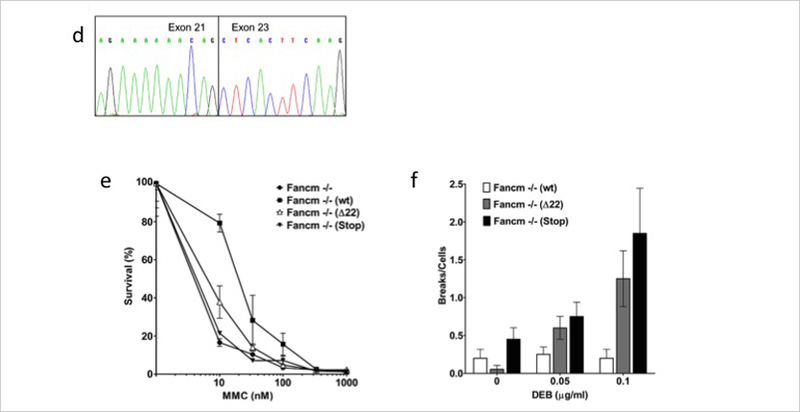 He and his team have recently contributed to discover that FANCM is a novel breast cancer gene; they are currently leading large projects aimed at determining the risk magnitude conferred by mutations in this gene. Catucci I, Casadei S, Ding YC, Volorio S, Ficarazzi F, Falanga A, Marchetti M, Tondini C, Franchi M, Adamson A, Mandell J, Walsh T, Olopade OI, Manoukian S, Radice P, Ricker C, Weitzel J, King MC, *Peterlongo P, *Neuhausen SL. *Equally contributing. Personalized testing based on polygenic risk score is promising for more efficient population-based screening programs for common oncological diseases. Radice P, Pharoah PD, Peterlongo P.
Fig.1 The picture represents a family. Circles indicate female; squares, males; union horizontal lines, the two parents; vertical lines, their children. The highlighted woman (the proband) developed breast cancer at age 28. As her paternal ant and grandmother were also affected with the disease, the proband underwent genetic counseling to consider testing for mutations in breast cancer predisposition genes. The sequencing of BRCA1, BRCA2 e PALB2 genes on DNA prepared from blood showed the pathogenic mutation PALB2 p.Gln343*. This finding will allow a quick and inexpensive test to know if other family members have inherited the mutation and are at risk of developing breast cancer.